A new report by Nielsen highlights the fact that connected commerce is creating buyers without borders. The findings are based on an online study in 24 countries, including South Korea. The report notes that connected shoppers area also smart shoppers as measured by the number who looked up product information, checked and compared prices, searched for deals and promotions and so forth. 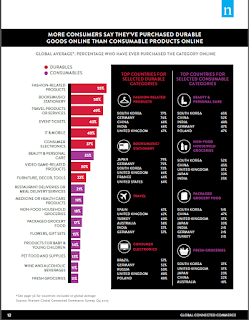 It also documents how online purchasing rates vary greatly around the world. What may be surprising to some is that only 50 percent of online shoppers in Korea said they have purchased from an overseas retailer in the past six months, compared with much higher percentages in India, Australia, Thailand, the Phillippines, and China. Only Japan, at 32 percent, showed a lower rate of overseas purchases than Korea, among the Asian countries surveyed. 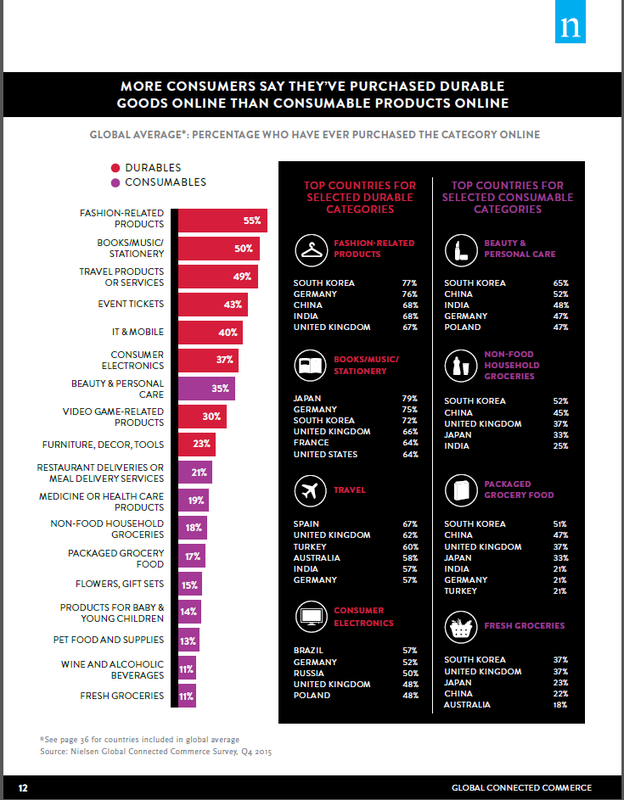 However, as clearly shown in the accompanying graphic (click for a full-size version) Korea's domestic online commerce leads the world in terms of online purchasing rates across a variety of product categories, notably including all of the consumable categories in this study.